Everyone loves Batman! He’s the first Comic Book Superhero to have his own movie in 1943’s BATMAN, created four years after Batman’s debut in Detective Comics #27. Batman was created by Bill Finger and Bob Kane, originally being made as an knock off of Zorro and The Phantom. Bill Finger took the initial drawings and ideas from Bob Kane, adding his own elements stolen from Sherlock Holmes, The Shadow, and others. Batman was basically the Kill Bill of comics, their creators just taking what they liked from other comics and putting it together. Luckily for them (and us) it worked and we’ve had almost 75 years of nonstop awesome from the character. Almost. I’m not crying, it’s the rain. You’re crying. Shut up. Now the past seven years have been very good to Batman. We’ve gotten him in excellent video games (Batman: Arkham Asylum and its sequel Batman: Arkham City, as well as the two very fun Lego Batman games) and we’ve had him in not only the best Batman movies ever made, but some of the best movies made period (2005’s Batman Begins, 2008’s The Dark Knight, and fingers crossed for 2012’s The Dark Knight Rises to follow this trend). While there were some minor issues in those movies, nothing really stopped them from being highly enjoyable. 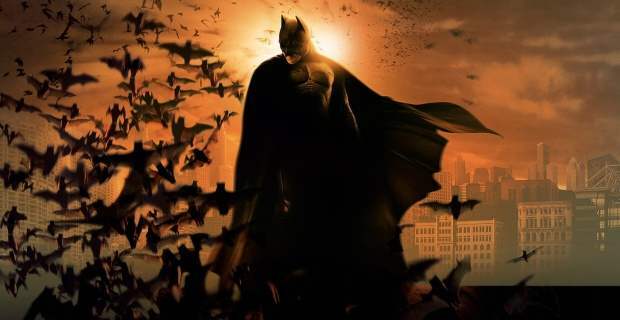 Who cares that the poison in Batman Begins doesn’t make any sense if it has to be airborne and that in The Dark Knight Batman leaped out of a window of a party being terrorized by the Joker, leaving the entire party there to fend for themselves in a plot point that was never resolved. Besides the people at the party. They definitely cared that Batman abandoned them. Batman’s long film history begins in 1943. “The Batman” was a fifteen part film serial made by Columbia Pictures (one of the rare uses of DC comics outside of Warner Brothers). Due to the ethics laws in cinema at the time, Columbia couldn’t make Batman a vigilante, so he seriously became Agent Batman of the FBI. Also, since the movie was made at the peak of World War 2, as it was common in film at the time, it was incredibly racist towards Japanese and German people. The antagonist was a made up villain for the movie to fit the propaganda theme, the evil Dr. Daka, a Japanese scientist turning the citizen of Gotham into zombies because that will help Japan win World War 2 apparently. Look, movies back then didn’t really make much sense. Creepiest version of Batman I’ve ever seen. The movie was over four hours long, broken down into fifteen 18 minute segments, each ending with a cliffhanger to excite the audience into coming to pay for next week’s chapter. One chapter ends with Batman getting into a plane crash, clearly about to die. The next chapter resumes with him leaving the crashed plane completely unhurt, just a bit dizzy. It’s as if this movie was written by someone who didn’t understand that you go back and change things if you wrote yourself into a corner. The serial was so successful that it received a sequel, 1949’s Batman & Robin (no, not 1997’s Batman & Robin, I’m not covering that one yet). Batman & Robin was a little better than Batman, but still awful. It was filled with the same poorly written stories, twists, and problems. The Bat-Signal can somehow illuminate a cloud despite being the middle of the day. In one scene Batman produces a blow torch to help himself get out of a locked vault, despite having his utility belt taken away from him in the prior scene. Batman and Batman & Robin were so bad that the 1966’s Batman (the “bad” Batman everyone seems to remember) was specifically created to parody the serials. It stole a lot of the inconsistencies and even the serial format (complete with cliffhangers that get resolved with zero logic) as a joke. It was always a joke, it’s just that people like to believe that old will equal bad, and that we’re always better than those that came before us. People can complain all they want about Adam West’s Batman, but they’re still ignoring the “intentionally” part of the fact that the show was intentionally ridiculous. Making fun of 1966’s Batman for being a bad Batman is like making fun of Austin Powers for being a bad James Bond. It never was supposed to be. “No, this was totally meant to be serious” – Idiots. What The Film will return next week with Batman (Part 2 of 3)! Same Bat-Time! Same Bat-UTG! You can follow Dane on Tumblr and Twitter!